My name is Kim and I am a Chipotle addict. Sadly, DH doesn’t feel the same way. He is Chipotle-ed out. 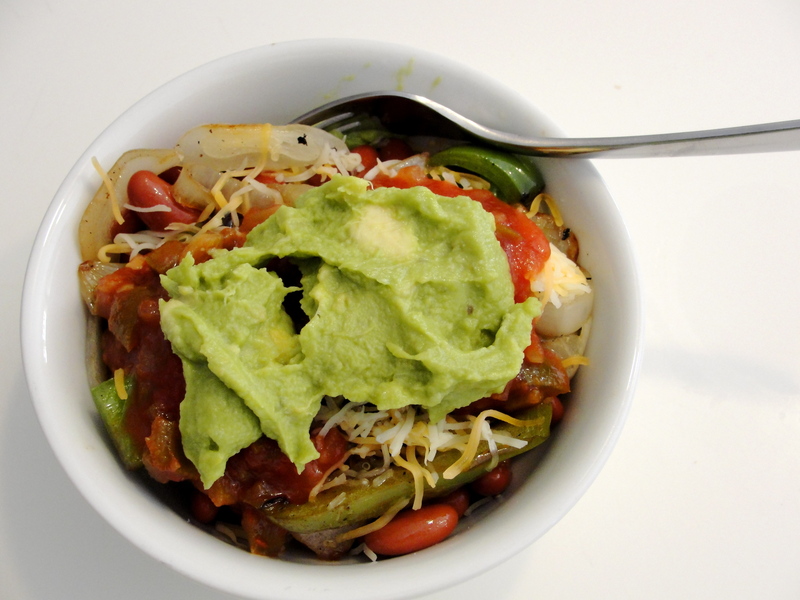 I sympathize, but I still love me a big honkin’ veggie bowl, filled with their fantastic lime-kissed rice, beans, grilled vegetables, salsa, and a dollop of guacamole. Seriously–besides the 10 million calories and hefty dose of simple carbs, what’s not to like? I could squelch my cravings at lunchtime, theoretically. But the Chipotle near my house is mobbed with high school students mid-day–we’re talking lines that literally stretch out the door–and I have no patience for it. And then the carb thing and the calorie thing kicks in and I feel way too guilty to go snarf down one of their amazing meals. Thankfully, the cook thing kicked in yesterday and I came up with a substitute that is seriously delicious and satisfied my Chipotle tooth without filling me with white rice and a ton of oil. The answer? If you haven’t tried this miracle grain yet, it’s time. It cooks up just like rice but has a ton of protein in it, is gluten-free, and is just as versatile as the rices you’re used to. The trick to it is to measure it out, pour it into a mesh sieve, and rinse it really well before you start cooking. Quinoa has a bitter thing going on, but a nice pre-stove shower will remove it and leave you a blank slate to cook with. Zest your lime and set the zest to the side (note: this makes the quinoa super lime-y. If you like that, rock on with me. If you don’t want so much lime, skip the zest and start with the next step). Heat a small saucepan on medium and add in your oil. Let that heat for a minute, and add the juice from your lime and your quinoa. Stir that all together–you want to coat the grains with the yumminess before it starts cooking. Then, add the water and lime zest (if you’re using it), bring it to a boil, lower your heat to low, cover, and cook for about 15 – 25 minutes, until most of the liquid is absorbed and you start to see little rings around your quinoa grains, which will turn kind of translucent. When that happens, uncover the pot, give your quinoa a stir, and add the cilantro. Continue cooking until it seems fairly dry. Remove from heat, fluff with a fork, and enjoy. While your quinoa is cooking, heat a pan (I use my cast iron wonder) over medium-high heat. Into that, toss together another teaspoon of oil, half a sliced onion, and a sliced green or red bell pepper. Cook until everything in there is seared up nicely. 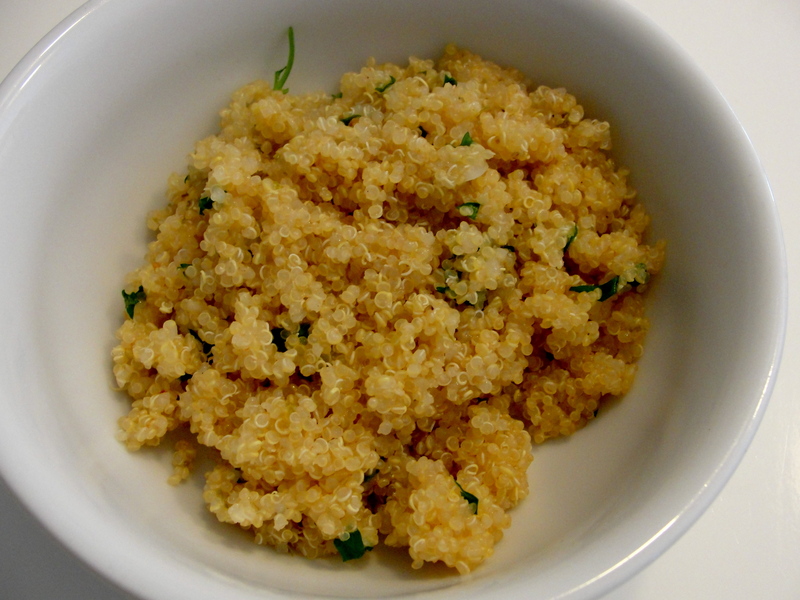 Spoon your quinoa into a bowl. On top, layer beans (black or kidney, drained and rinsed), some of your cooked veggie mixture, some salsa, and a dollop of guacamole or piece of avocado. Keep your leftovers in a covered container in the fridge–they make awesome leftovers. Tell me who rocks Chipotle now! We’ve talked about my family’s love of all things bread, and my own personal addition to really good garlic bread. Garlic and butter and carbs–I mean, really. What’s not to like? I started thinking, though, that it’s kind of a pain to have to get bread and slice it and butter it and put seasoning on it and broil it, especially on nights you’re in a hurry or eating leftover pasta. You can zap last night’s dinner in, what, a minute? But making the garlic bread for night 2 of a meal kind of takes the quick-and-easy out of leftover night. 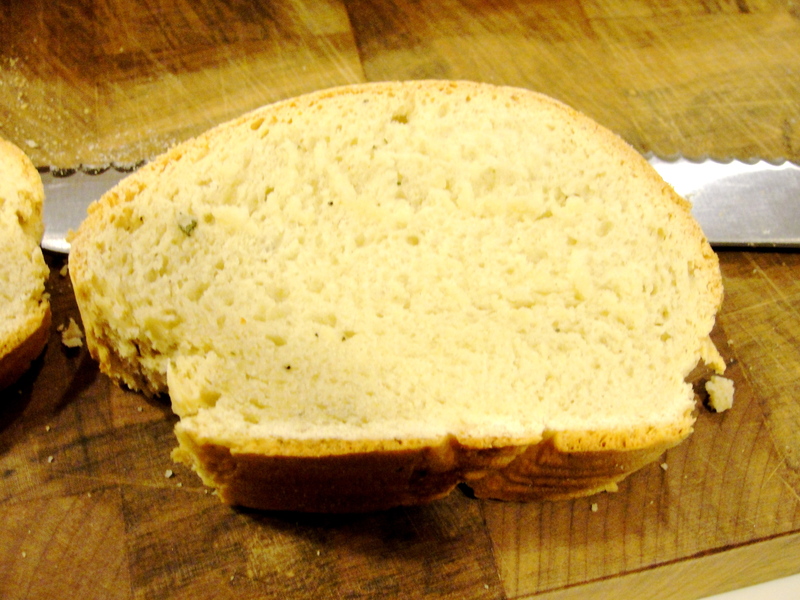 And so, I came up with this–it’s a basic Mark Bittman bread recipe that couldn’t be simpler, doctored up with garlic bread spice baked right into it. You make the bread, wrap it in plastic, and give it a few days (or eat it right away–whatever works). And then, when you get your leftover Italian food out to give it a spin in the food nuker, you just slice off the appropriate amount of this bread and pop it into your toaster. A little bit of butter at the end, and voila. Garlic bread. We ate this for two nights and the kids devoured it. Don’t skip the toasting part, though–it’s not nearly as good in its plain-bread state as it is with a little crunch to it. This will freeze nicely, so it’s totally fine to wrap up whatever part you don’t eat right away and save it for your next go-round of spaghetti or whatever. I’m thinking this would also be a great bread to toast, slather with tomato sauce, sprinkle with Parmesan, and lay a poached egg on top of for breakfast. In fact, I may have to try that tomorrow. Combine all of the ingredients in your bread machine and run it through the dough cycle. If you don’t have a bread machine, combine all the ingredients with your mixer and knead it by hand for about five minutes, and then let it rest and rise for about 45 minutes or so. Heat your oven to 425 degrees. Line a baking sheet with parchment paper or spray it with cooking spray. Cover that with a clean dish towel and let it rise about a half-hour. Brush it with water and put it into the oven for 15 minutes. Then, lower your temperature to 350 and let it bake about another half-hour, until it’s golden brown and baked through. Remove it from the oven, let it cool, and slice and toast. 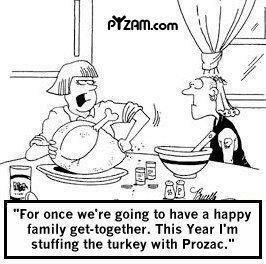 Happy Thanksgiving, gang! If you’re cooking at home, know I’m slightly jealous, and that my wish for you is that you leave the bird on the counter for 30 minutes once he’s cooked before you attack him with a knife (trust me–do it). If you’ll enjoy your meal at someone else’s house, I hope you enjoy your day of relative relaxation, and I hope you pitch in with the dishes once the table’s been cleared. I hope you enjoy the company of those you love, and I hope you have lots of wine and a great, big smile to deal with those you don’t. No matter what, I hope you’ll relax and enjoy the day with all of its butter-and-cream-laden goodness, and I hope you have tons to be thankful for. I’m giving thanks for all of you who visit my blog and share it with your friends, because it truly is a joy for me to write and I love hearing from all of you. Happy T-day, y’all. Have a wonderful one. Catch you next week! 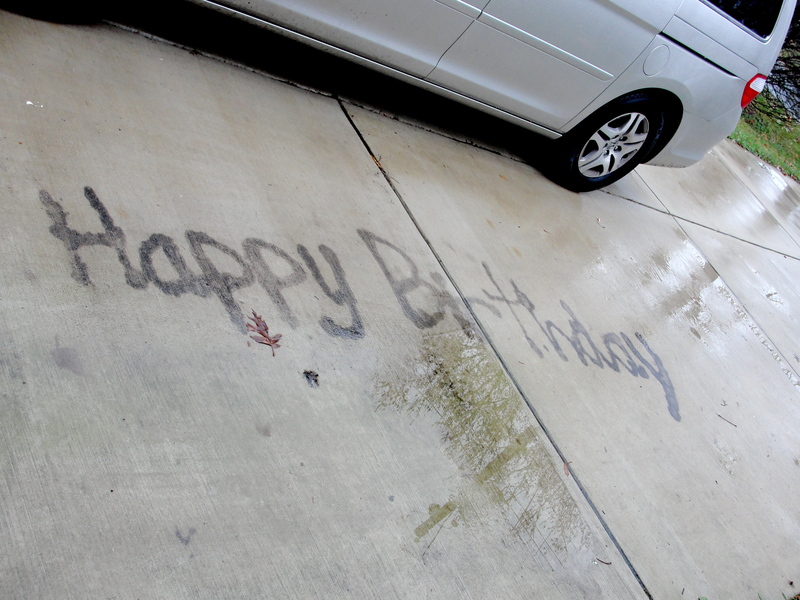 You might remember that last August (2010), DH sprayed “Happy Birthday” in our driveway with a can of whipped cream, and that a few weeks later, it hadn’t quite vanished. Which made our family rethink that stuff that comes in the cans. That picture up there? I took that this morning. Fifteen months after the sweet message landed on our concrete. Fifteen months of rain (including a hurricane) and snow and basketball and cars and people and garbage cans, and a lot of stuff…a lot more than goes in inside your body. See what I’m saying, y’all? You can see my original post on how easy it is to make whipped cream, and now that you’ve seen a real-world science experiment with that canned stuff, I’d urge you to rethink the convenience route. To make it a little more special for Thanksgiving, drizzle a little maple syrup in there while you’re whipping–it’s fantabulous. If you need it to travel, add a few pinched of cream of tartar, which will help it stand up longer. Now, to fully appreciate that, you need to know that this child–love of my life, keeper of my heart, fruit of my soul–has complained loudly and with great abandon about every single thing I’ve put on that table for about two weeks now. She went to bed two nights in a row last week having eaten one bite of dinner because rice was so offensive (and she did not starve to death nor become malnourished so stop shaking your heads at me–I’m over the short-order cook thing). Nothing, and I mean nothing, has met with the approval of her rapidly-narrowing palate. Until Saturday morning. When she declared this breakfast worthy of a “real cook,” and devoured it. I swear, I waited for the earth to open up beneath me right then and there, because surely this was my entrance to everlasting nirvana. This is the result of my messing around with a few recipes I found online, all of which were either too heavily spiced for our liking (it’s an early morning dish for the love of all that’s holy) or soggy or didn’t crisp up on the outside and get fluffy on the inside like any good waffle is supposed to do. It takes a few steps and a few ingredients, but I promise you–the mess and the extra few minutes are totally worth it, because these pumpkin waffles are crunchy and fluffy and just pumpkiny enough to make them out of this world good with a drizzle of real maple syrup. The key to the crunchy/fluffy quality of these lies in three tiny things: bread flour, which is high in protein and does crispy/chewy beautifully; a little veggie oil in the batter; and baking powder. There is a lot of baking powder in this–it is going to foam up when you put it on the griddle. Go easy, or you’re going to have a mess on your countertop. 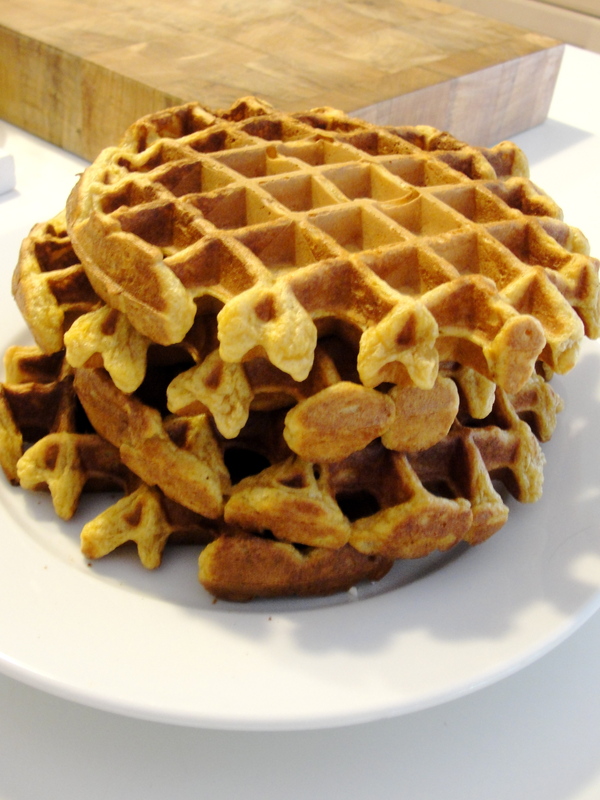 All of that said, these don’t stay crispy/chewy for long–get your family around the table as you put the first one on your waffle iron, and let them eat as they come off (you, as chef, get the last one, which means first that the waffle iron is deadly hot and yours will be extra delicious, and second, that your family will likely be finished eating when you start, giving you perfectly perfect peace and quiet as you enjoy your waffle, not that you don’t love them and savor mealtime with them, blah, blah, blah). They do crisp up nicely in the toaster, though, so you can save a few and toast them up later. Just watch that they don’t burn. I whipped this batter up in my KitchenAid mixer, using the whisk attachment, which incorporated lots of air in there. Air is good in waffles. 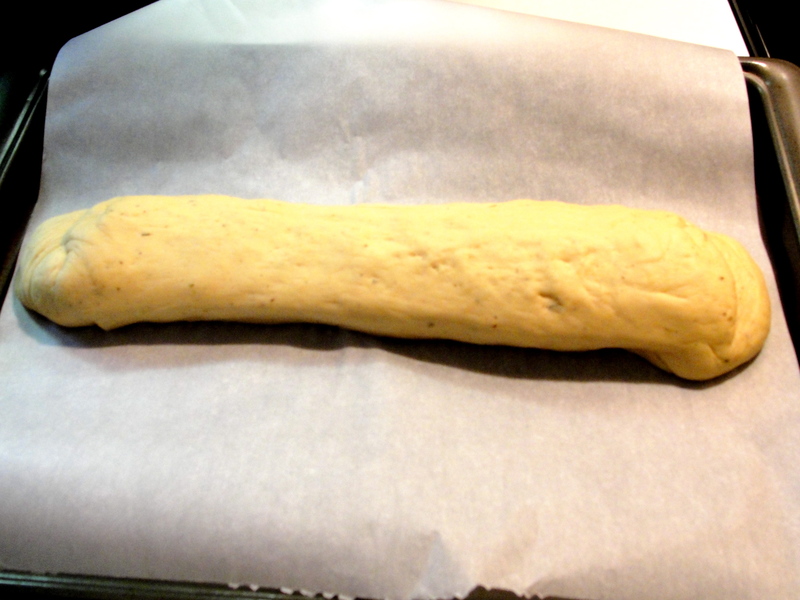 You can absolutely use a hand mixer or your arm and a whisk. Whatever you have is fantastic. In your mixer bowl, beat together your eggs, butter (cool it for a few minutes first or you’ll scramble the eggs), pumpkin, oil, milk, and brown sugar. Stir in all of your dry ingredients and beat it for a minute to get some air in there. Pour a half-cup at a time (on a Belgian waffle maker–less on a regular one) into your waffle iron and cook to manufacturer’s directions. Eat immediately or freeze and toast later. Parchment Paper Means No Clean Up! Hey gang! 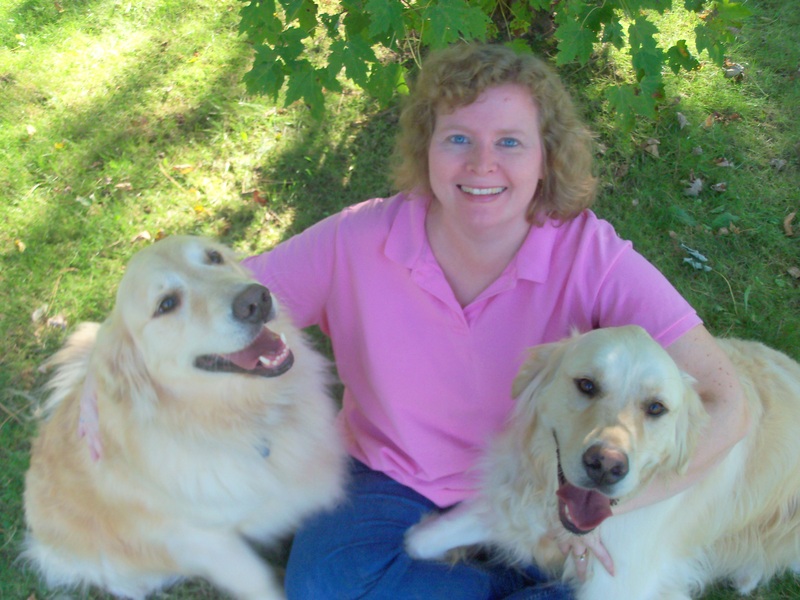 Please join me in welcoming cookbook author and food blogger Brette Sember to the blog today! Brette is one of my foodie heroes because of her commitment to yummy food that’s easy, and her new The Parchment Paper Cookbook is all about that. Thanks for visiting with us and for this fantastic recipe, Brette! I love cooking, but sometimes the clean up gets to me. 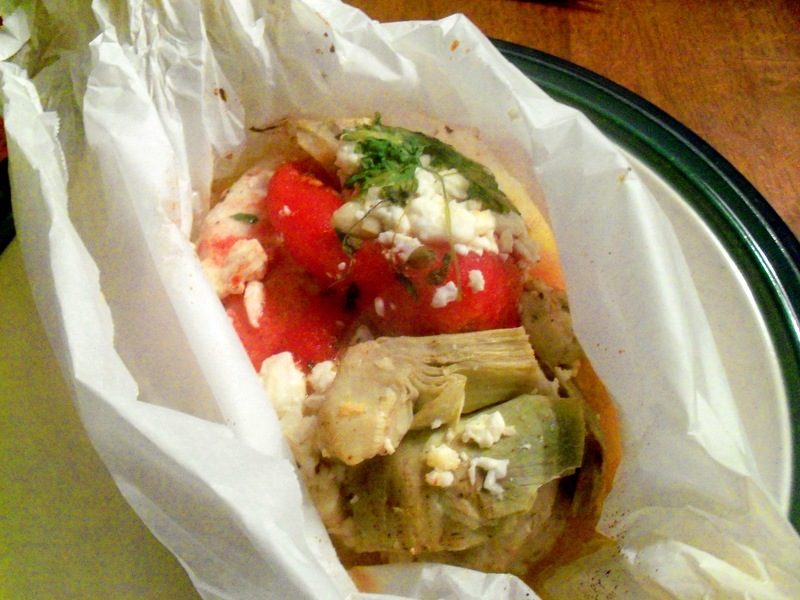 I set out to find a way to make dinner without having to do a sink full of dishes—and I found it in parchment paper! 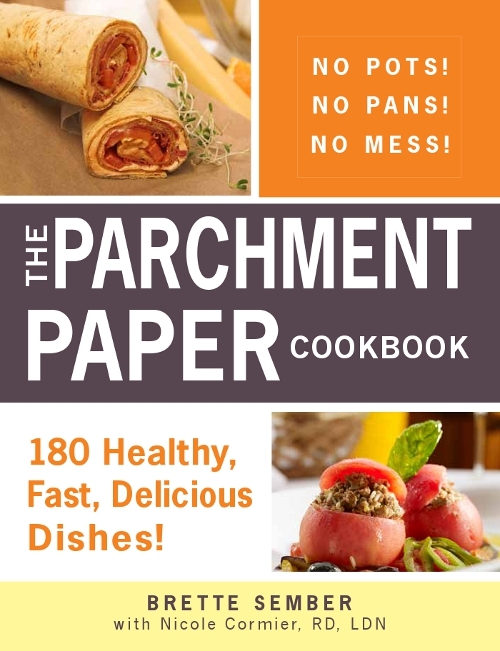 Parchment paper packet cooking is a wonderful, revolutionary method that decreases the amount of fat needed for cooking and locks in flavor and nutrients. Best of all, with parchment paper cooking, there is no mess to clean up– no pots and pans to scrub. The food cooks in a parchment paper packet in the oven, making this perfect for busy moms, people with small kitchens, and anyone tired of doing a sink full of dishes after dinner. Parchment paper is recyclable and compostable. Cooking with parchment also means you can cook your entire meal in one oven without turning any burners or using lots of hot water to scrub pots and pans. You can buy parchment paper in your grocery store next to the foil and plastic wrap, or online from sellers like Amazon. Wilton and Reynolds both make parchment. The secret of parchment paper is that it is coated with silicone, which keeps moisture and flavors in, and keeps food from sticking. You layer your food onto the paper (no pots, pans, or big mixing bowls needed), fold it and bake. It’s that simple! Parchment paper packets are a snap to cook with. Cut off an 18-20 inch piece of parchment and place your food in the center. Leave at least 4 inches on the sides. Now, grab the long ends of the paper and have them meet in the air in the middle, then just fold them down until you get to the food. You’ll end up with a long package. Now all you have to do is simply twist each end. (You can see illustrations at: http://nopotcooking.com/index.php/technique/). Place the packets on a baking sheet or toaster oven tray for ease in moving them around. Preheat oven to 400 and prepare parchment paper. 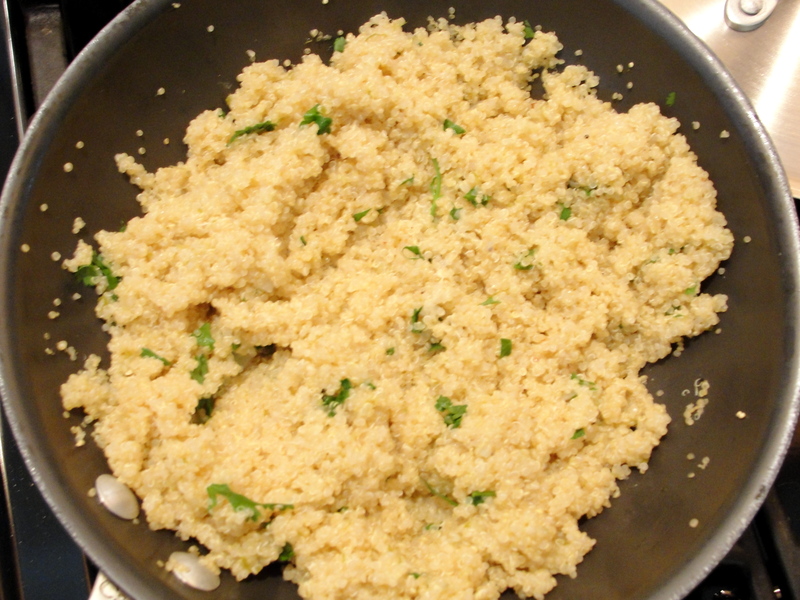 Place the couscous on the paper in roughly the shape of the chicken breast. Place the breast on top and place the spinach over that, then the tomatoes. Season with salt, pepper, Greek seasoning and onion powder and crumble the feta cheese over it. Fold the parchment and bake for about 35 minutes. You can also add 1/8 cup sliced black olives to this or substitute one canned whole tomato, chopped, for the tomato slices. Brette Sember is the author of The Parchment Paper Cookbook, published by Adams Media. She blogs about parchment paper cooking at www.NoPotCooking.com. I promised my daughter pumpkin bread last night. Of course, that was before piano lessons and basketball practice, and shuttling everyone through late-for-a-school-night showers and teeth brushing and reading time and bed, and it was definitely before all Hades broke loose with a client project in the late afternoon and dinner had to be made and then the kitchen had to be cleaned. It was also after a full day of work and home-running nuttiness. All of this is a long way of saying: I made the promise and then I did everything else on my list and then I fell asleep on the couch. Thankfully, I avoided catastrophe (you do not want to break a promise to my daughter. Hell hath no fury, y’all). DH exercises with a neighbor on Tuesday mornings and wakes me up before he goes, which is quite early by normal-people standards. After I came-to and realized I’d forgotten her bread, I poured myself some coffee, mixed the ingredients together (in four minutes–I timed it), doled the bread batter into greased muffin tins, and headed up for my shower. Twenty-five minutes later, the kids were getting up to the scent of hot pumpkin muffins wafting up the stairs, which is not the worst way in the world to awaken. 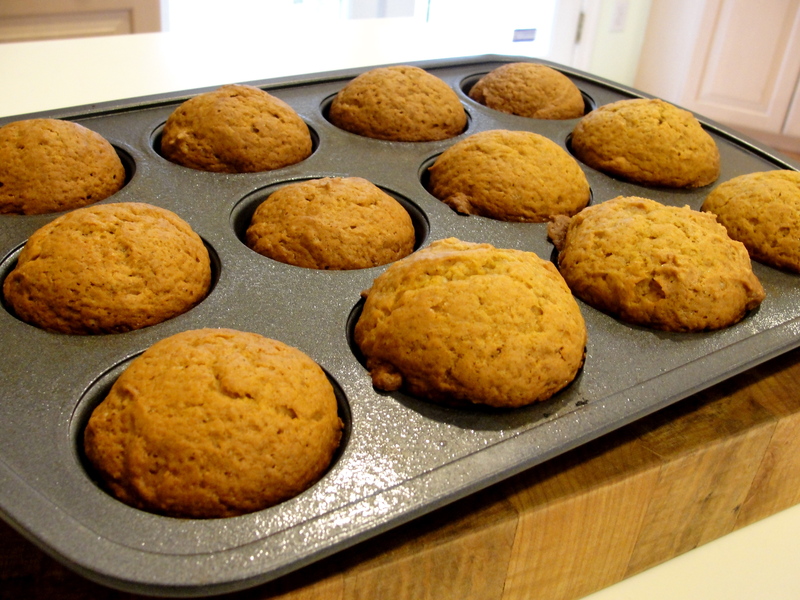 The pumpkin bread/muffin recipe I love is here–I posted it last year, but it’s worth revisiting because it is so good and keeps so well and takes so few minutes to toss together, and it’s relatively healthy to boot. And the good thing is that you don’t have to completely space on a promise to your kid to also enjoy fresh-from-the-oven yumminess in the morning– I have a few tricks to make that happen even if your brain isn’t slowly leaking out your ears like mine apparently is. 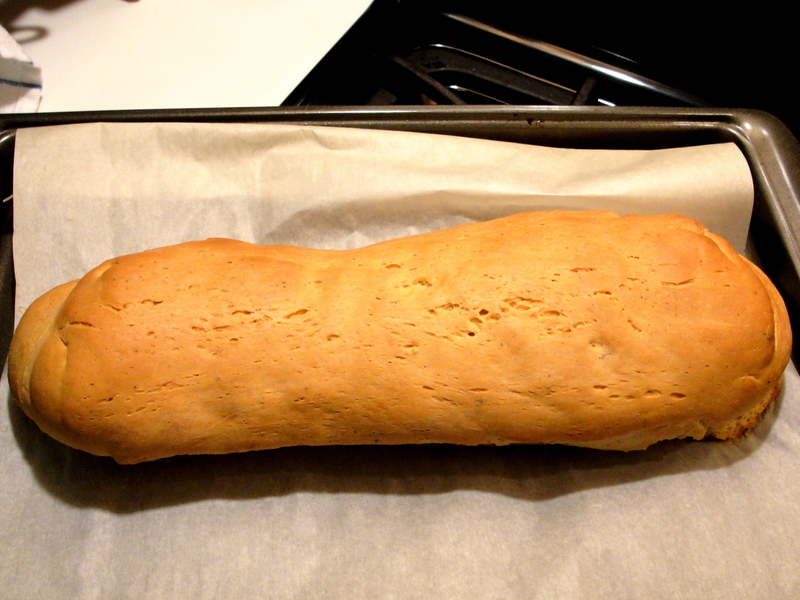 First, find a quick bread recipe you love and can make easily. Pumpkin bread, banana bread, oatmeal bread, blueberry bread, lemon bread–whatever. Convert it to muffin size–a loaf equals a dozenish muffins, depending how large you want them to be. When you wake up, turn your oven on. Get your muffin tins out and butter or spray them with your nonstick goodness of choice (I am partial to Baker’s Joy, but whatever floats your boat). Get your cold bowl out of the fridge, dump it into your dry bowl, mix it up, and dole it into your muffin tins (and by the way, an ice cream scoop works beautifully for this job). Put your bowls in the dishwasher (or into a sink of hot soapy water), let the oven tell you it’s preheated, slide your muffins in there, and give them a little less than half the time you’d bake a loaf of bread. Enjoy your coffee, take a shower, hit the treadmill. Whatever your morning entails–go ahead and do it. My pumpkin bread recipe takes an hour, so I started checking the muffins after 20 minutes. Once they’re done, pull them out. Gently, gently slide a knife around the edges of the muffins you want to eat immediately, slide them out of their tins, and put them on a plate to cool for a few minutes (so they don’t crumble into oblivion or toast your tongue off when you bite into them). You’ll have warm comfort just when you need it the most, and your house will smell awesome all morning. Let your remaining muffins cool all the way and store them in a plastic container with a tight lid. Enjoy your warm breakfast muffins, y’all!